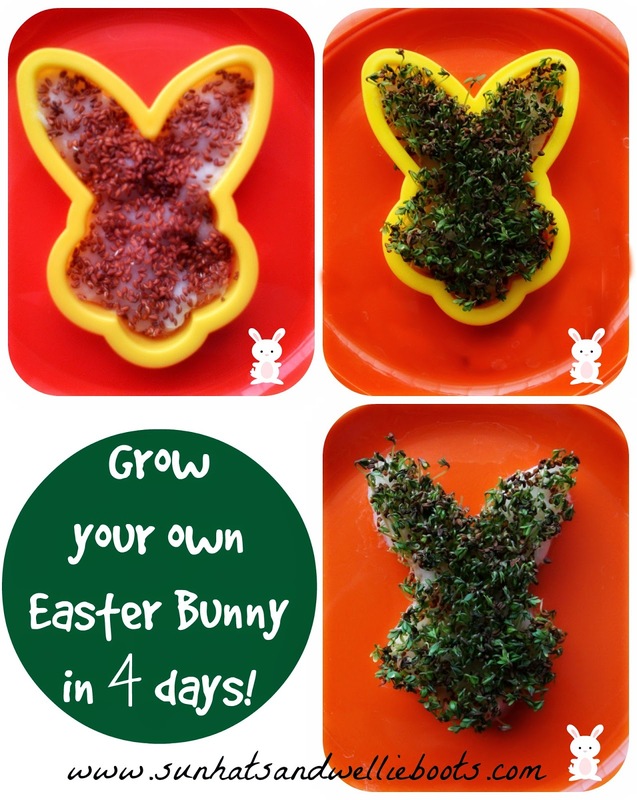 Sun Hats & Wellie Boots: Grow Your Own Easter Bunny in 4 Days! Grow Your Own Easter Bunny in 4 Days! 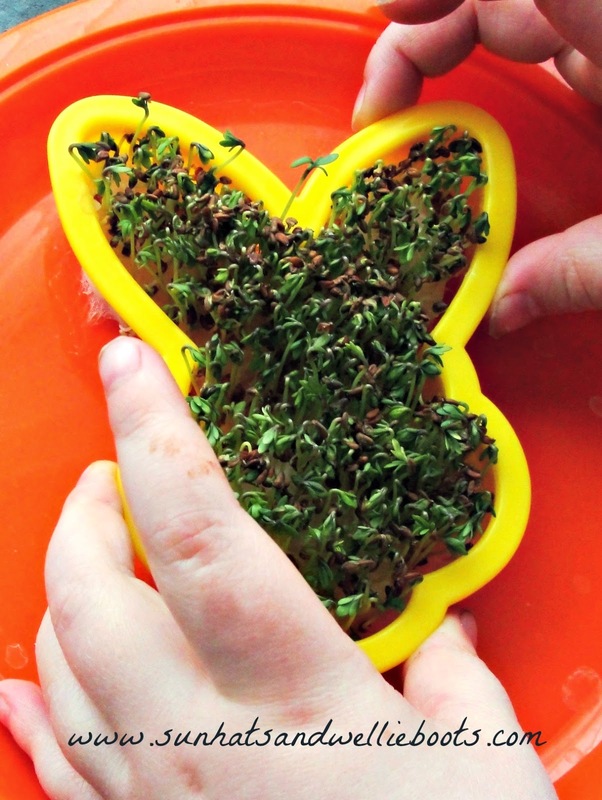 These Easter cress shapes are a quick & easy activity to put together, & fascinating for children to watch grow. From day one they'll be able to observe the seeds changing & sprouting & by day 4/5 they'll have grown their own cress! 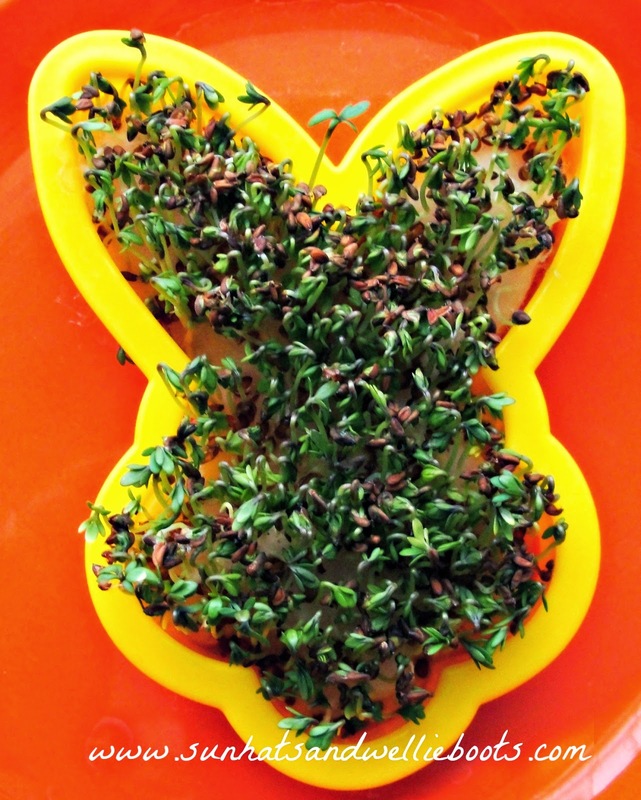 We love making these in the run-up to Easter Day, & will be planting ours today so we have fresh cress on Sunday! Perfect for an Easter egg salad! 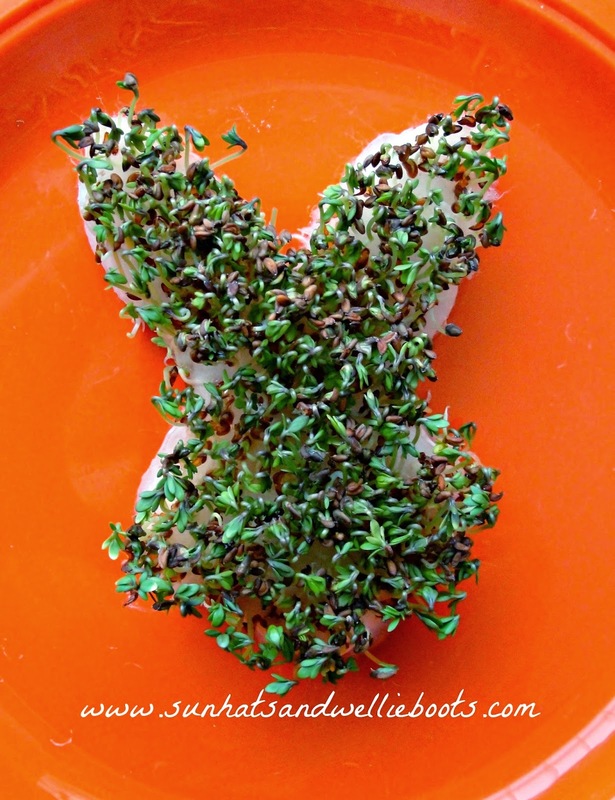 All you need are some Easter cookie cutter shapes, kitchen paper/cotton wool, a small plate & cress seeds. Place the cookie cutter onto a plate, push the cotton wool into the shape making sure it reaches the edges & sprinkle over your cress seeds. If using kitchen paper you'll need to fold a couple of sheets & cut around the cookie shape so fits snuggly. Place on a sunny windowsill, add a little water daily & watch the seeds transform. By day 4/5 your seeds should have grown into cress! Gently lift the cookie cutter away from the cotton wool to reveal your homegrown bunny. Such a simple activity to explore seeds, growth, & Easter.